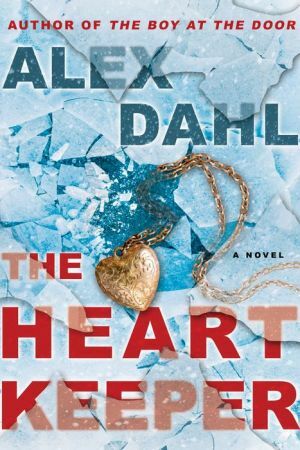 Critically acclaimed author Alex Dahl explores how love can turn darkly sinister when a desperate mother looks to reconnect with her lost daughter in this riveting Norwegian set psychological suspense novel. Two mothers. Two daughters. One heart. When Alison's beloved daughter Amalie drowns, her world turns impenetrably dark. Alison tries to hold it together throughout the bleak Fall, but in the darkest days of the Norwegian Winter she completely falls apart. In another family, Amalie's passing is a new beginning. After years of severe health problems, young Kaia receives a new heart on the morning after Amalie drowns. Her mother Iselin has struggled to raise Kaia on her own and now things are finally looking up. She's even made an affluent new friend who's taken a special interest in her and her daughter. Alison knows she shouldn't interfere, but really, she's just trying to help Iselin and Kaia. She can give them the life they never had, and by staying close to them, she can still be with her daughter. Kaia is just like her, and surely, something of Amalie must live on in her. As her grief transforms into a terrifying obsession, Alison won't let anything stop her from getting back what she has lost.